(March 27, 2017 – Toronto, Canada) – Canadian television production and distribution company, Portfolio Entertainment, is heading to MIPTV with two new culinary series in its diverse catalog: Café Maria and Sailing Chef. 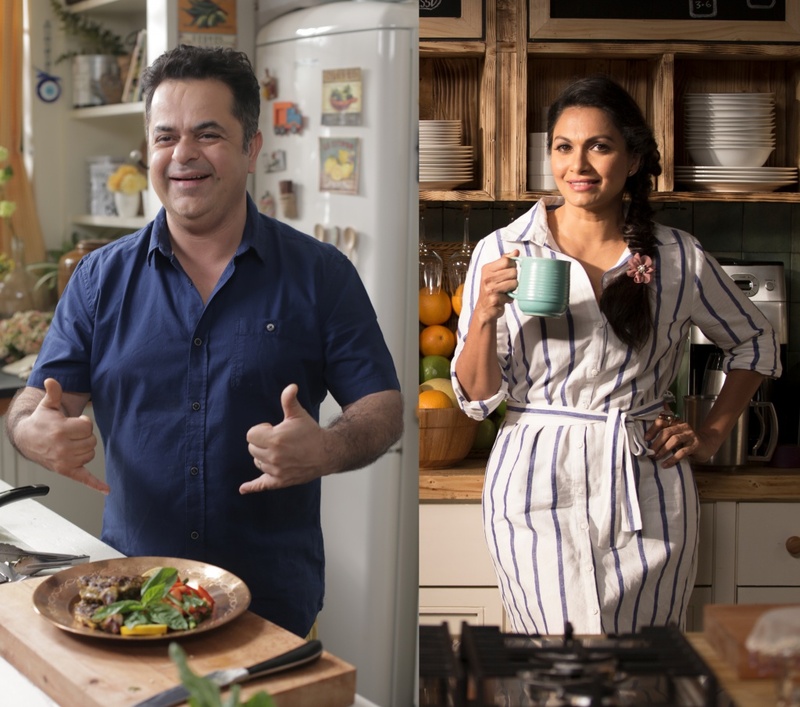 Shot in stunning 4K resolution, the pair of shows feature charismatic chefs with a flair for global flavour. Café Maria and Sailing Chef are produced by production house Rangrez Media. Portfolio has secured worldwide rights to both programs, outside of Asia. In Café Maria (30 x 30’), television celebrity-turned-chef Maria Goretti creates eclectic culinary delights, inspired by brunch menus around the world. Whether it’s pistachio cookies with Moroccan coffee, or eggs Florentine with an unoaked chardonnay, Maria’s drool-worthy food and drink pairings are full of addictive, unexpected flavours that elevate brunch to new gastronomic heights. Celebrity Chef and Restaurateur Vicky Ratnani’s global tastes are front and center in Sailing Chef (30 x 30’). Chef Vicky has cooked his way across 37 countries aboard huge ocean liners as a former chef de cuisine. Every episode is a blast of fusion flavours as Chef Vicky sautés, poaches, blanches and bakes his favourite delicacies from port cities around the world and gives them a delicious Indian twist.